I'm just about to embark on the travel adventure that will be the remaining 58/69 cities of the UK for the UK Cityscapes project. 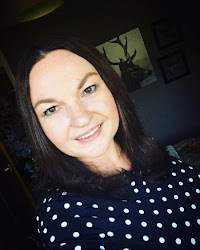 There are things I cannot live without when I am travelling for work, obviously if you are travelling overseas your list is going to differ significantly but here's my roundup of things I can't live without. A great backpack, once upon a time I used to travel with cases but it's just so much easier to have a backpack so you can enjoy the cities as much as possible, I like to arrive in a city in the morning and may not check into a hotel until later in the day and who wants to lug about a case when you're trying to climb tall buildings. Comfortable clothing, just get me to the Rohan website and lets adore all the practical but lovely things from this great british brand, I particularly love these Tunis trousers, they're linen but unlike regular linen you don't get unslightly creases in them, someone buy me a Rohan gift card quickly! Shoes, now then, long time readers of this blog will know of my love for great shoes, especially Irregular Choice but large heels just won't cut it when you are walking over vale and hill unfortunately, I love these Merrell womens "Allout Rush" from the Cotswold Clothing company and they''ll keep your toes comfy all day long. If you want cute feet though then I recommend a pair of Mabel Shoes from comfy shoe company Hotter, I had a pair of Hotter last year and they were so comfy, even after shooting a wedding for 8 hours. A Mophie pack is essential for me, it extends your iPhone battery by at least 8 hours, I have the space pack for my iPhone 5 and it gives me an extra 32gb of space as well as the spare battery power, because I social media on the go all of the time as well as speaking to business contacts I really need something to extend my battery power, finding Mophie really changed my life as with it being a case I no longer had to worry about plugging bits and pieces into the phone and then trying to cram it all in my tiny or non existent pockets. A lightweight camera, well this one for me is a total no brainer, you just can't beat the lightweight Fuji X System, I have the X-Pro1 which is amazing but my next camera purchase will be the Fuji X-T1 and both cameras will sit really well next to each other, in addition I am also seeking to invest in the Fujifilm 18mm f2.0 lens, something a little wider than my current 35mm f1.4, I have a camera bag full of Canon gear which I must think about selling to fund it all. A waterproof Parka, I got mine from Blacks, who also have a great selection of fashionable travel clothes which won't make you look old aged, I have to say that I still can't quite bring myself to buy a fleece but we'll see if that's still the case when I am travelling over autumn and winter.